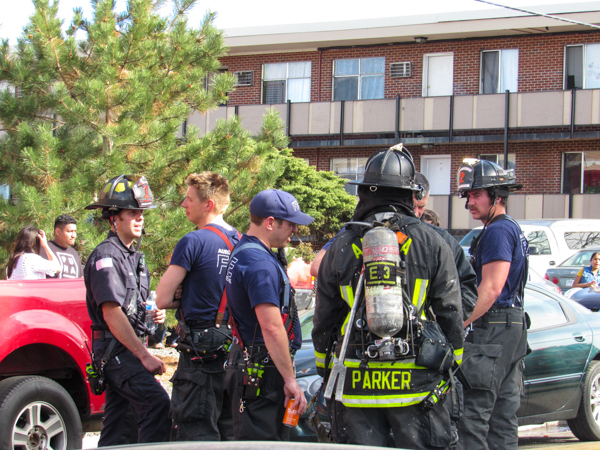 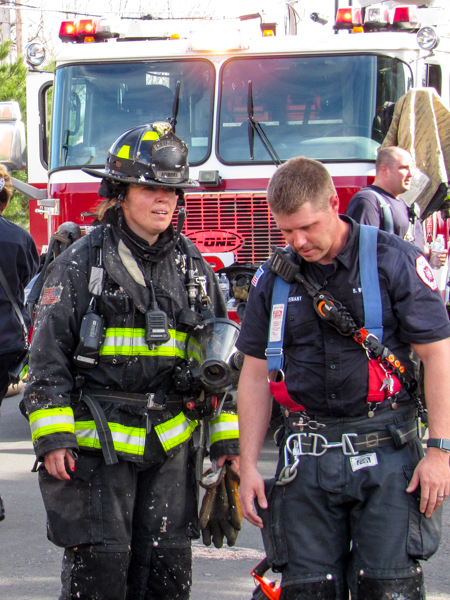 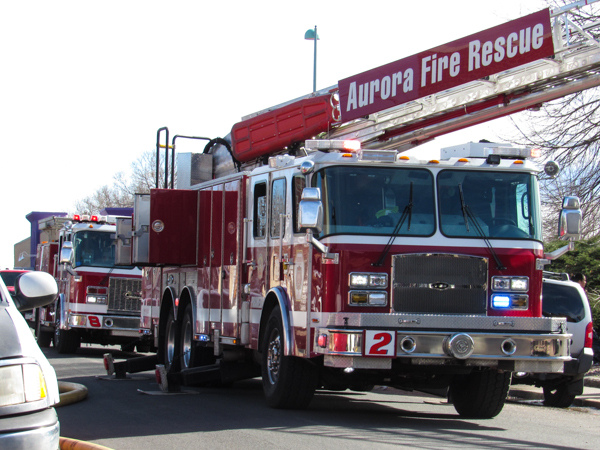 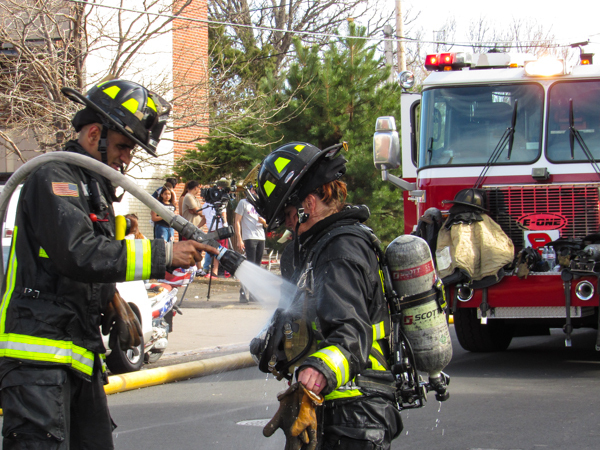 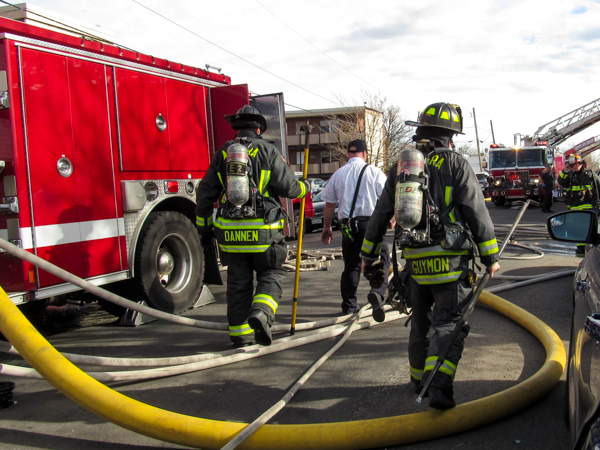 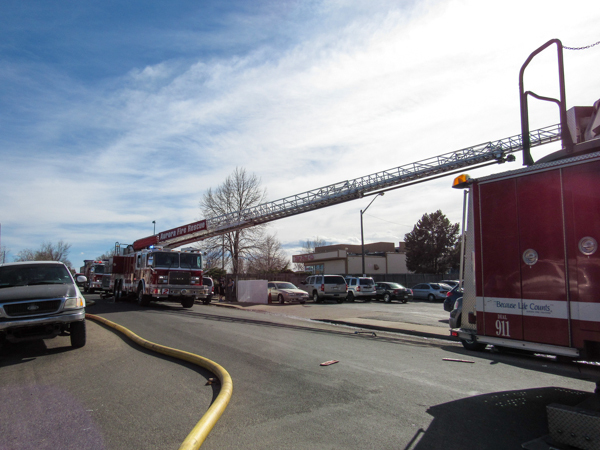 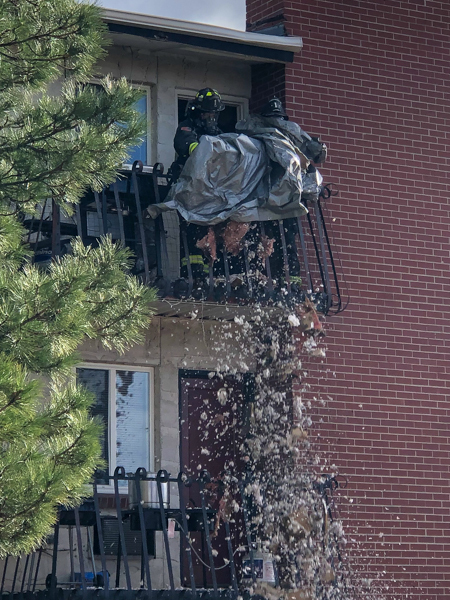 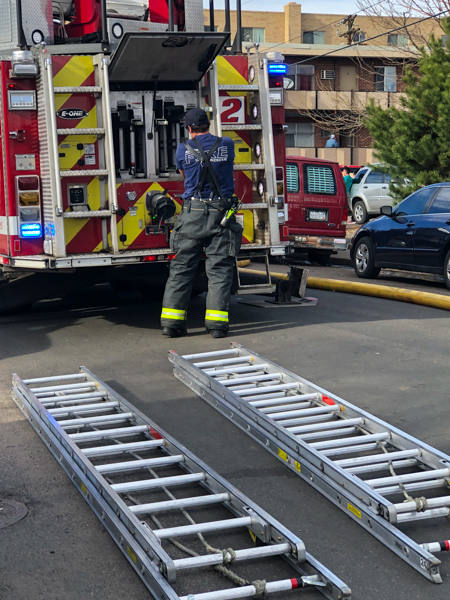 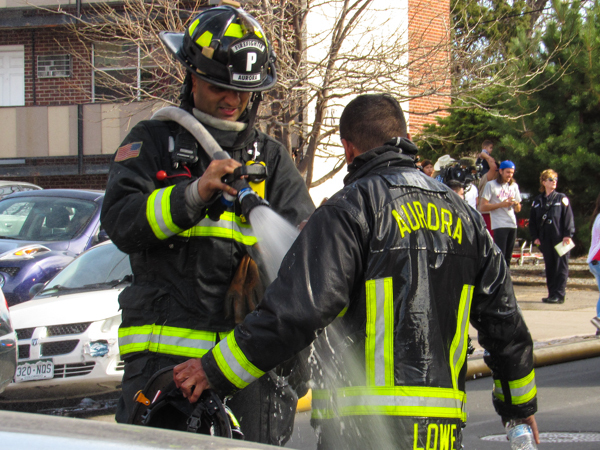 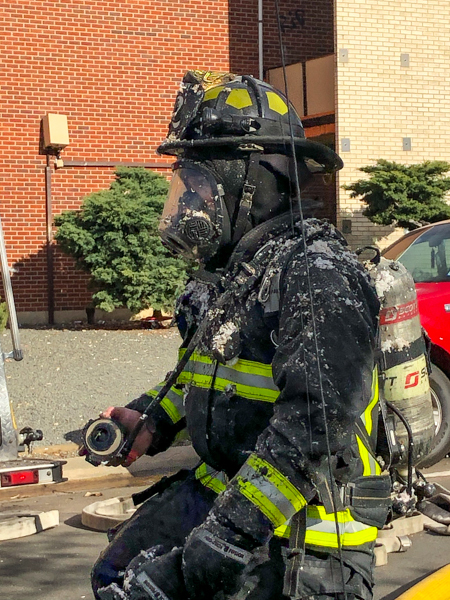 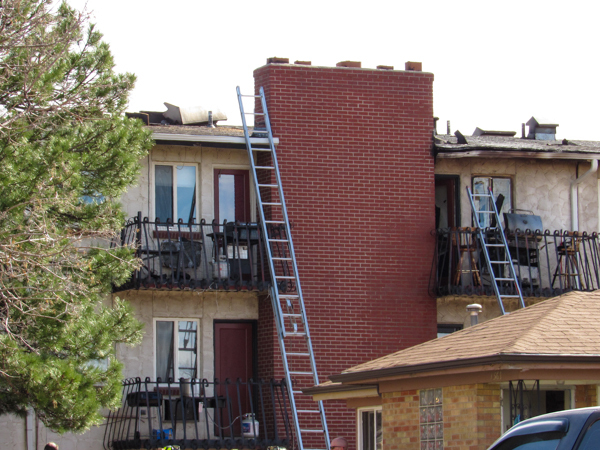 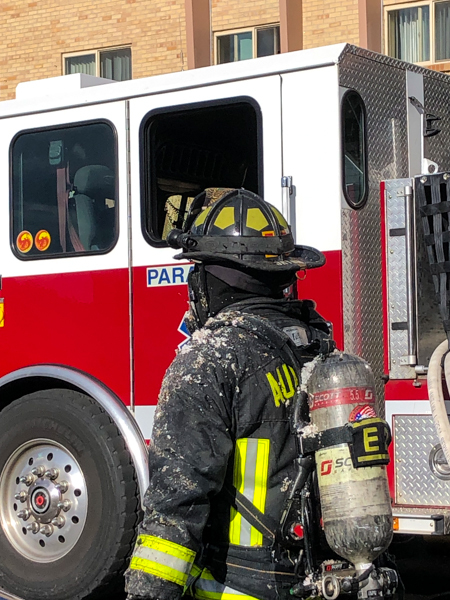 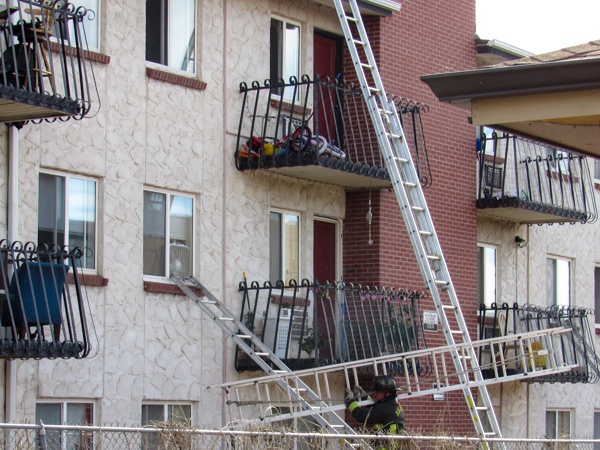 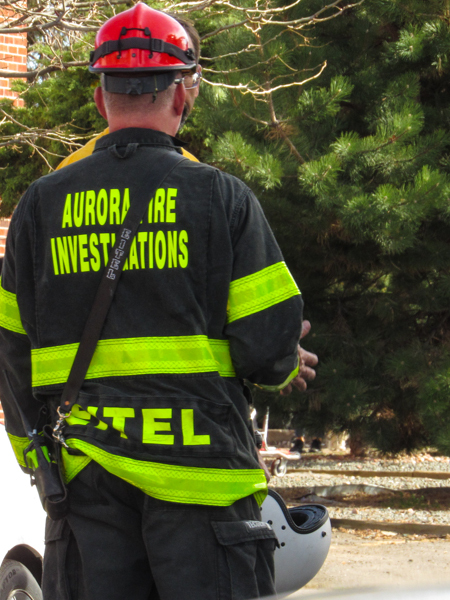 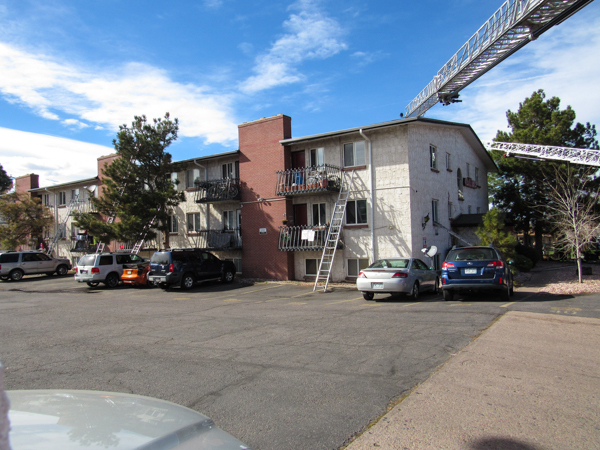 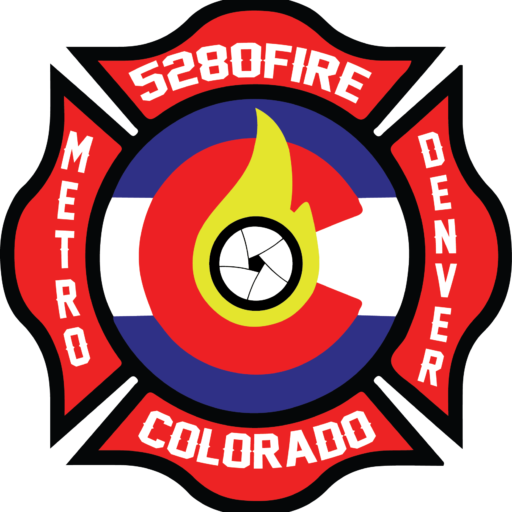 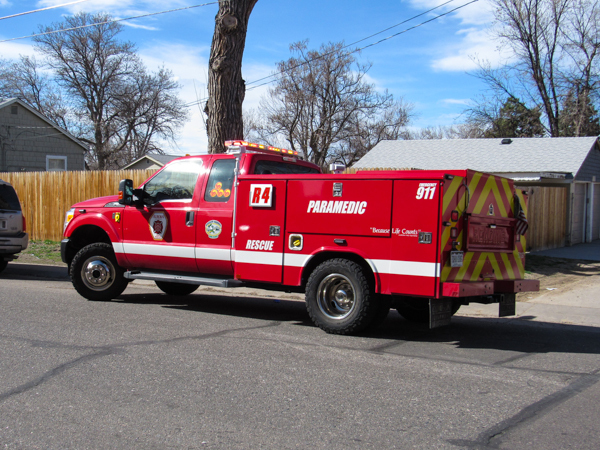 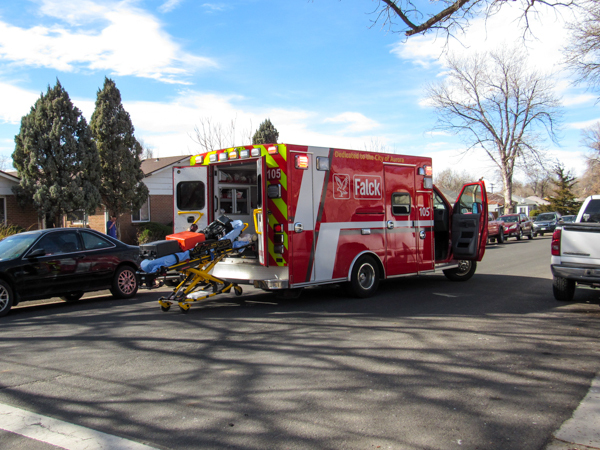 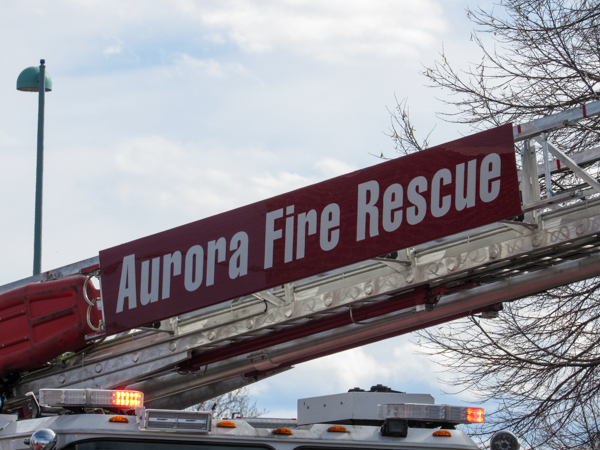 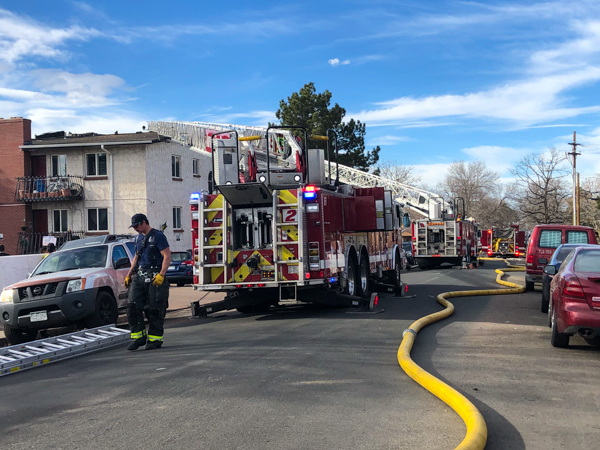 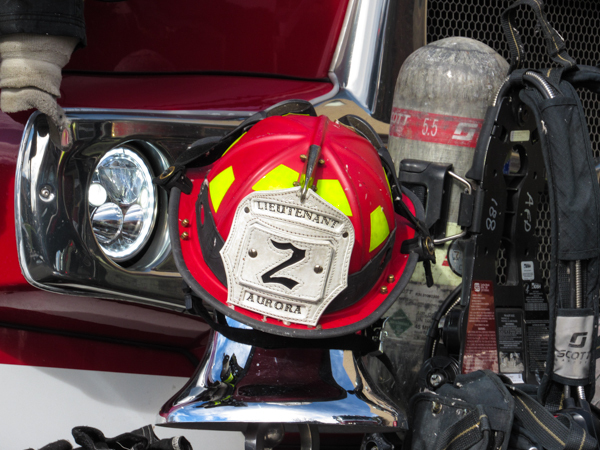 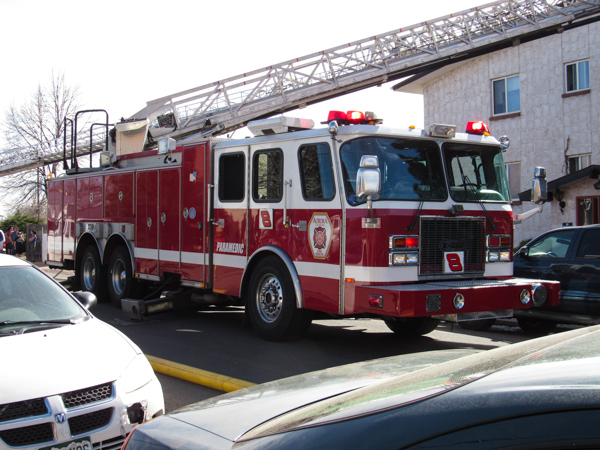 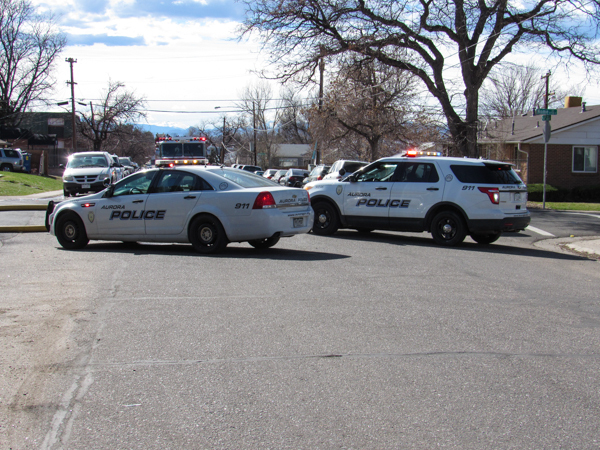 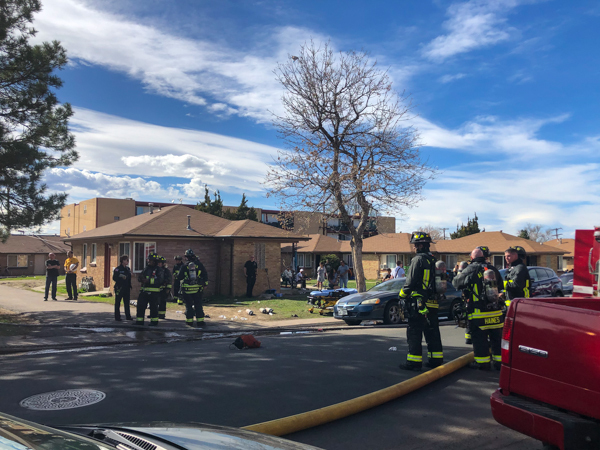 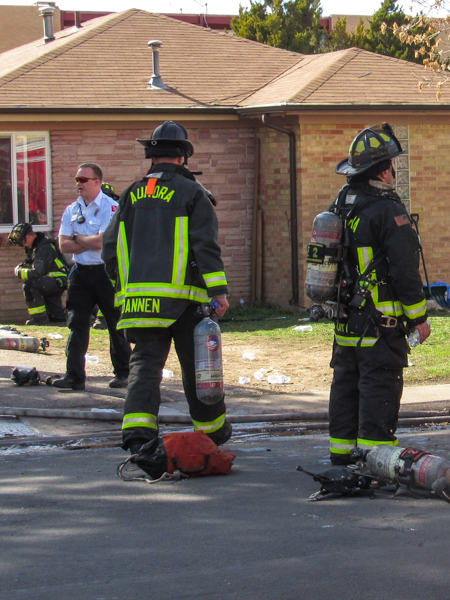 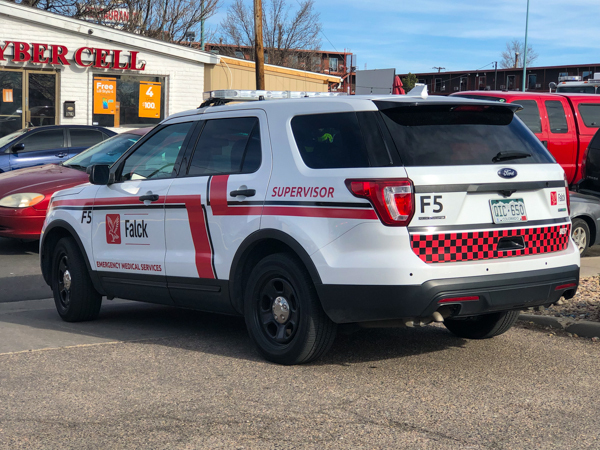 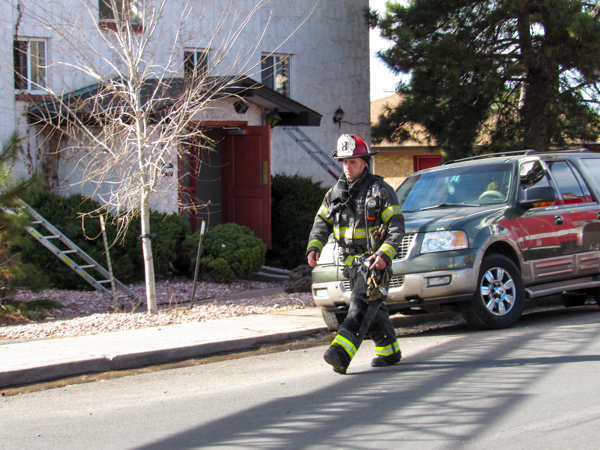 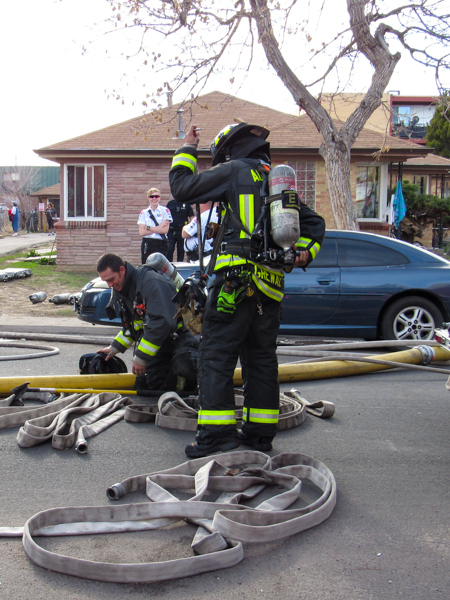 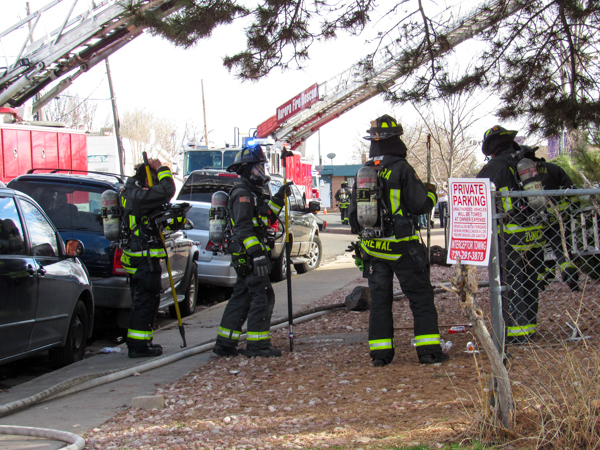 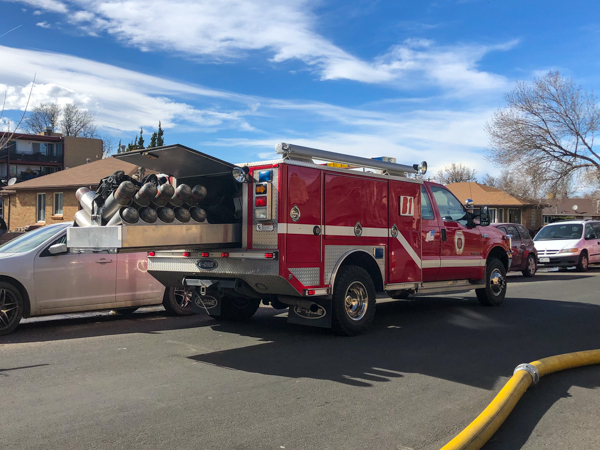 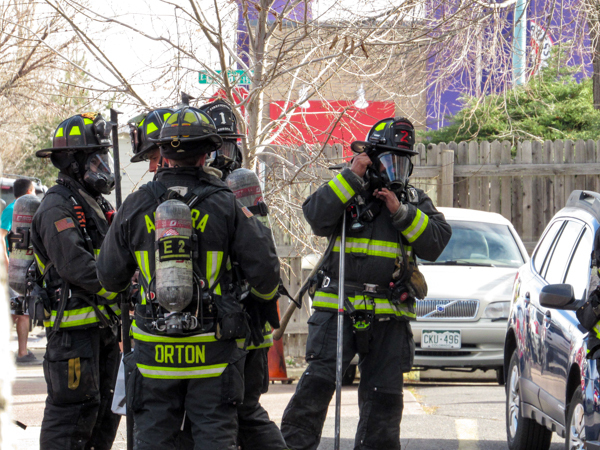 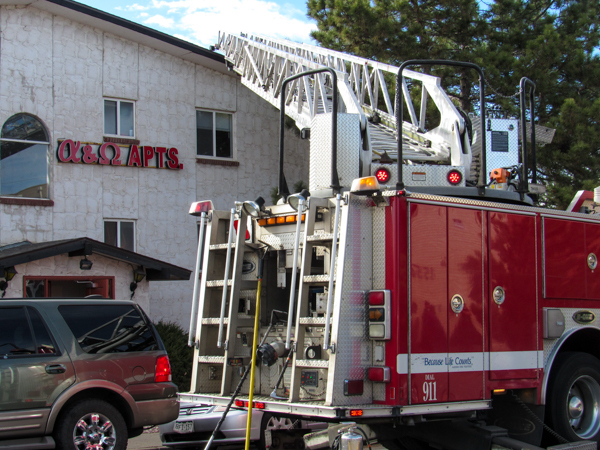 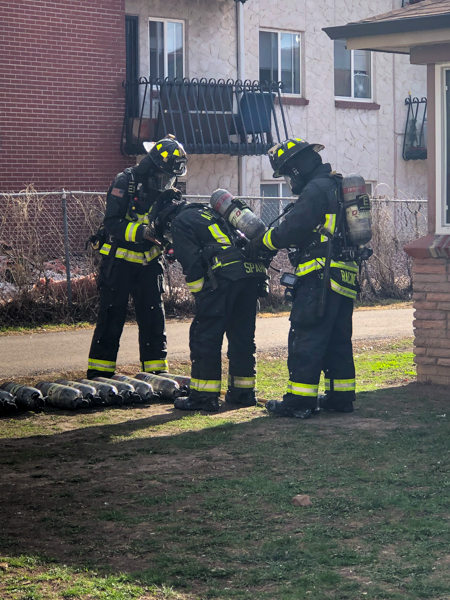 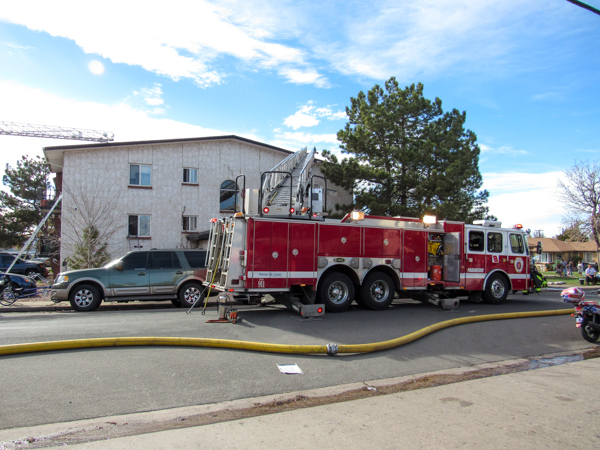 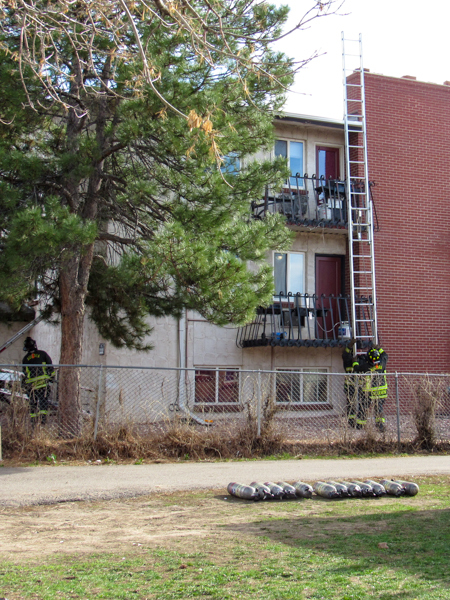 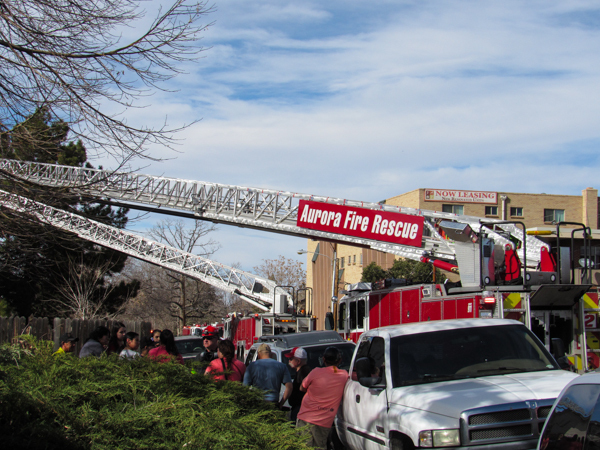 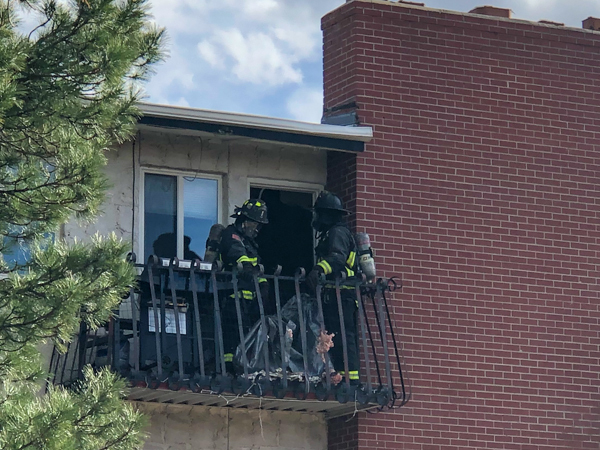 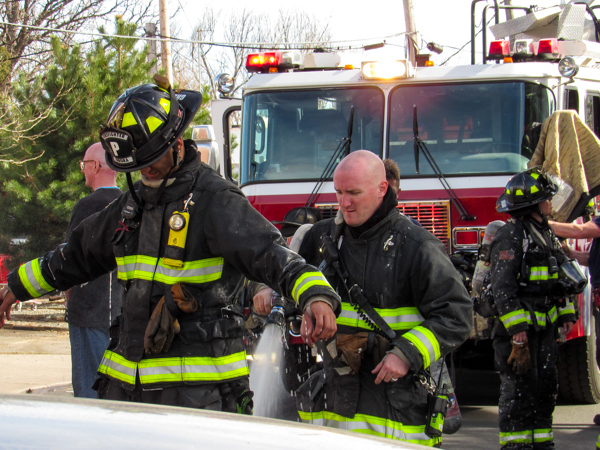 At 15:03 on April 7th, 2019 Aurora 911 Emergency Communications dispatched Aurora Fire Rescue to a structure fire in the 1500 block of Nome St. Engine 1 arrived to a 3-story garden-level multi-family apartment structure with smoke from the roof, and pulled in a line for fire attack to the 3rd floor. 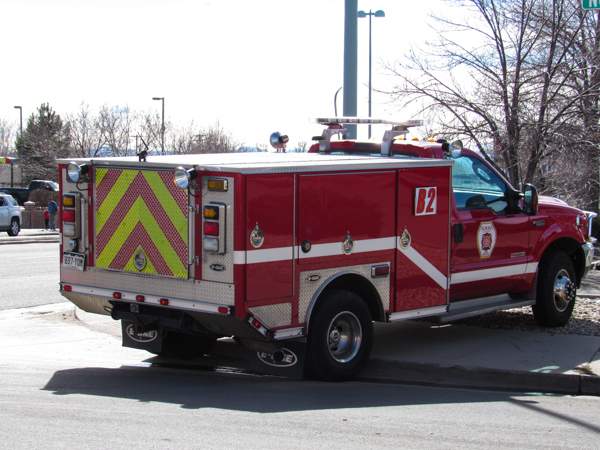 Engine 3 arrived and established a water supply, and Engine 2 pulled a 2nd line in and assisted Engine 1 with fire attack. 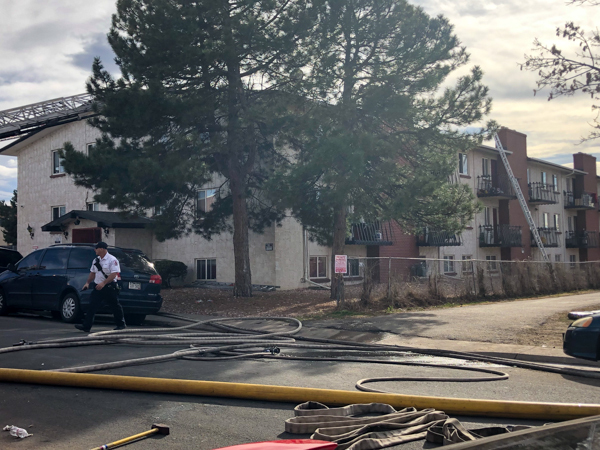 Battalion 1 arrived and assumed command with a working fire in a apartment complex, fire from a 3rd floor balcony and spreading into the attic with fire through the roof. 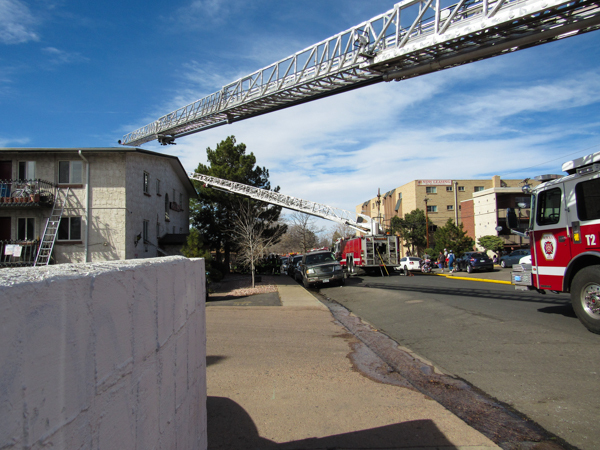 Truck 8 arrived and assigned to the roof for vertical ventilation, and Engine 5 established a 2nd water supply. 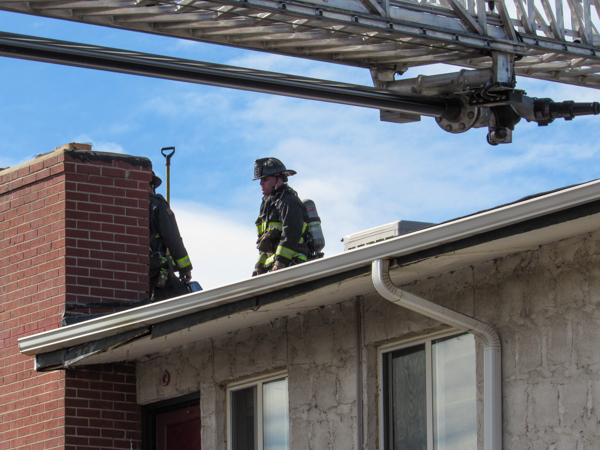 Crews chased fire in the attic space, and was able to get the fire contained. 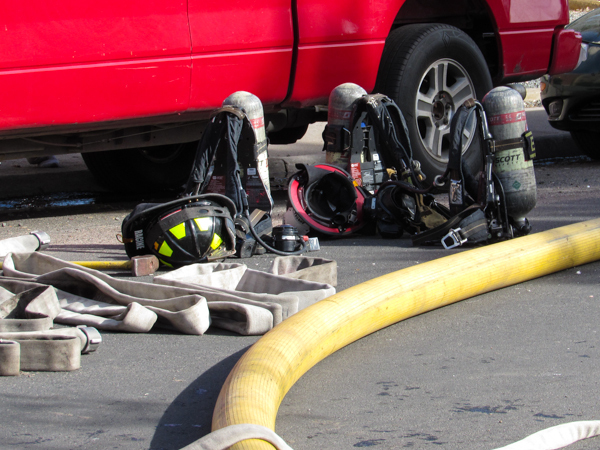 Crews started a major overhaul with mopping up hot spots and ventilating the building. 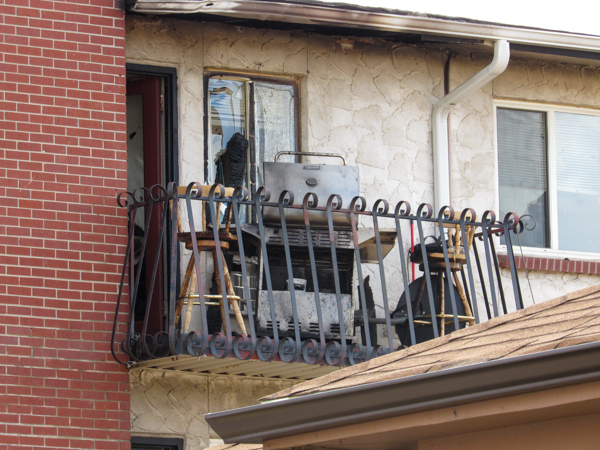 The fire was started from a barbecue grill on the 3rd floor balcony. 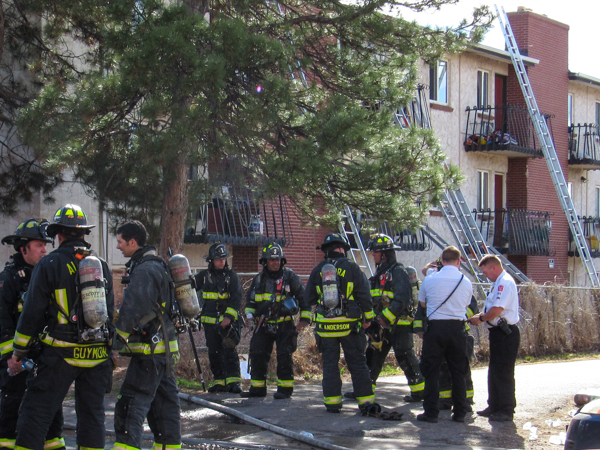 No injuries were reported and the American Red Cross was called to the scene to assist with displaced residents.